Kienzle, Rick Roland Age 74 died peacefully on August 27, 2018. Rick is survived by his one and only son John, "stop at one when you've achieved perfection!" Rick was born August 24, 1944 to John and Irene Kienzle (Caton). He attended Richfield schools and worked in the family business as a plasterer until joining the Navy in 1963 as a flight engineer. Rick had a successful career in the automotive business as well as many other entrepreneurial ventures. He was an avid Vikings fan and always looked forward to the upcoming season. He loved boating, trips to Vegas and Florida and watching golf (but only if Tiger was on). The only thing he may have loved more was his grand kids, Lauren Andrew and Joe. He held them near and dear to his heart; from midnight runs to McDonald's, shooting off fireworks. He was always there for them. Rick is survived by his son John and wife Celeste; grandkids, Lauren, Andrew and Joe. His significant other, Bertha Roehl; brother, Gregory (Pancho) and wife Ferna; JoRene Weiblen and husband Rick; former wife Eileen Leo. He is also survived by many nieces and nephews who loved him dearly. Rick is preceded in death by parents John and Irene Kienzle (Caton); brother John (Jack). Rick was not only my dad, he was one of my best friends. We worked together and spoke almost daily. We shared more windshield time while driving and talking about everything and anything and for that I am truly grateful. You were THE coolest. We will all miss you. Special thank you to the staff at Southview Acres Nursing Home, Meghan, Ray and the 1st floor for all of your excellent care. Private family service to be held at Fort Snelling National Cemetary. Gunderson, Richard Clifford Born June 17, 1944 Died Mar 3, 2018 Preceded in death by parents, Roy and Ann (Kraska) Gunderson; and son Nicholas Gunderson. Loving husband to Wendy and father to sons Rhett & Grant, daughter Reno (Jeremy) Gunderson, and grandchildren Ava, Gage, and Ames. Vietnam Navy vet. Graduate of the University of St. Thomas and Richfield High School. Retired Ramsey County and US Postal Service worker. Missed by many. In lieu of flowers, please make memorials to Shriner's Hospital and Mt. Olivet Outreach. A service will be held on March 12, 2018 at 2:00 pm with visitation one hour prior to service, at Mt. Olivet Lutheran Church, 5025 Knox Ave S, Minneapolis, MN 55419. Carroll, Janice M. Age 74 of Burnsville, MN passed away peacefully at home surrounded by family. She joins her parents, Val and Carl Pearson and grandkids Mitchell & Amie. A small service will be held today at Pleasant View Memorial Gardens in Burnsville at 10:30 am followed by a memorial lunch at the Scottish Rite in Mpls. She is survived by her husband, Ken Carroll; kids, Connie, Carol & David; Ken's kids, Randy, Lori & Lisa; her many grandkids; her brother, Jim (Peg) Pearson and many relatives and friends. I bet there was an angels' hockey team that was glad to see you arrive. James B. Wallace, 72, passed away on Oct 20, 2016. Born April 7, 1944 in Richfield Mn to Daniel and Lorraine (Grinnell) Wallace. Graduated from Cornell University in 1967. Married Margaret Harkness. Honorable discharge from Army Reserves in 1972. Moved to Park Rapids where he had spent most of his childhood summers at the family cabin on Island Lake. For many years he built homes then turned to crafting furniture. For 17 years he volunteered his time coaching the high school boys hockey team. One of his great joys was watching the team succeed. He was a member of the Park Rapids Farmers market for many years making furniture items that complimented the outdoors. He met Katie 31 years ago and found his life partner. As Jim was from a small family joining the large Kueber/Thelen family was an amazing and wonderful experience. He loved George and Marie like second parents. Jim is survived by Katie, daughter Heather(Jim)Roach, grandchildren, Angie and Will, sister Becky Rickley, nieces Katie and Annabeth nephew Peter and cousins Jan, Gary(Gail) and Dave(Laura Innes) Brisbin. Preceded in death by his mother and father, sister Kit, Aunt Dody and Uncle George. He will be missed by his many friends. Memorial service will be held next summer per his request. Edward P. Byhre, 70, of Highmore, passed away Sunday, January 4, 2015 at the Avera Hand County Memorial Hospital, Miller. Funeral service was held at 10:00 a.m., Thursday, January 8, 2015 at Our Savior Lutheran Church, Highmore with Pastor David Peterson officiating. Burial followed at the Highmore Cemetery. Visitation was one hour prior to the service at the church. Edward Peter was born November 8, 1944 in Luverne, Minnesota to Edward and Anna (Nelson) Byhre. He attended and graduated from high school in Minnesota and Augustana College in Sioux Falls. While attending Augustana, he met his future bride, Susan Olson. They were married in 1966 in Sac City, Iowa. While working as a grad assistant in the basketball program at the University of South Dakota he earned a Masters in Physical Education. Ed had a passion for education and coaching. His coaching took him to Minnesota, Iowa, South Dakota and Eastern Kentucky. While at Eastern Kentucky University, he was the head coach of the boys basketball program, winning the OVC Conference and earning a spot into the NCAA tournament in 1979. Upon retiring from coaching, they moved back to the Midwest where Ed worked in education, establishing the Lower Brule Community College, working as a teacher and principal at Crow Creek, Shannon County and Pine Ridge; retiring in 2011. He respected his students and staff, and formed relationships that impacted his life and theirs. While in South Dakota, he bred, raised, and trained quarter horses; concentrating on and preserving the Driftwood bloodline. He was a member of the AQHA since 1983. He felt blessed to have 2 wonderful children and son-in-law, happiest when he could spend time with and tease his grandchildren, care for his dogs and horses, and show his loyalty to friends. His memory will be cherished by his wife, Susan of Highmore; daughter, Jane (Matt) Grady of Washington, D.C.; grandchildren, Jack and Henry Grady; sisters, Becky (Glenn) Corcoran of Portland, OR and Jan (Pete) King of Norwalk, CT; brother, Steven (Carole) Byhre of Wisconsin; and numerous nieces, nephews, and friends. His parents and one son, Peter Byhre, preceded him in death. Secrist, Vivian L. age 69, of St. Michael, passed away surrounded by her family, March 2, 2014, from complications of open heart surgery. Vivian was a beloved daughter, mother, Amma, great grandmother, sister, aunt, niece and friend to countless. She will be remembered for her unending generosity. She gave away all she had. Most importantly, she gave greatest her love. She shared the fruits of her crocheting and quilting talents with all, especially, her children and grandchildren - who brought her the greatest joy in her life. Vivian is survived by her 5 children, 12 grandchildren, and 6 great grandchildren. Visitation Saturday 9-11 AM at St. Paul's Lutheran Church, 11024 Church St NE, Hanover. Funeral service 11 AM with luncheon to follow. Memorials preferred to family. Viv moved to Richfield from NE Mn about 1960. She and I were 'set up' (I believe by Bill Davis?) to attend the prom together. We had a good time and ended up at Lake Nokomis Beach house at sunrise by a police officer tapping on my windshield. That day we went to Battle Creek Park with others. After graduation I went in the Army and Viv eventually got married as did I when I got out of the army in '65. Then, one day I got a msg via Facebook asking if I was the Duane she knew. That began a 2yr friendship via emails and Facebook posts. We planned to one day get together for lunch and meet but her untimely death ruined that. We had fun, shared many stories and found out that thru the years we probably passed each other in St Paul as we visited some of the same streets, businesses. Weird. RIP old friend. Mr Webb was a favorite math teacher at Richfield during our time there. Many of us took 10th grade Geometry from him. Webb, Gordon H. Age 84, passed away on Feb. 11, 2013. Preceded in death by Phyllis, his wife of 31 years, his parents, sister Marjory and grandson Matthew. Gordon graduated from Roosevelt High School in 1947 and was a state champion gymnast. After graduating from the U. of M., he began his career as an educator in Bemidji, MN, transitioning to Richfield High School in 1956. He earned his master's degree in Mathematics and created an accelerated math program at the high school. He earned a second master's degree in counseling, and served as a guidance counselor until his retirement in 1983. He loved to sing, dance, travel, play cards, flirt, and generally brighten the lives of those around him. He is survived by daughters Vicki and Donna, sister Phyllis, grandsons Christopher, Justin and Tom, as well as many other relatives and special friends. Thanks to Sunrise Assisted Living of Edina for making his last several years so pleasant. Service will be held at Lakewood Cemetery Chapel on Saturday, Feb. 23rd at noon. Memorials to N.C. Little Hospice in Edina. 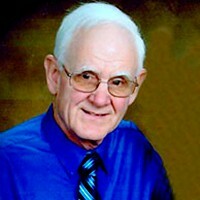 Thysell, Earl R. Age 67, of Richfield, MN, passed away on Aug. 1, 2012. Survived by son, Aaron. Interment Fort Snelling, Thurs., Aug. 9th at 10:15 AM. Published in Minneapolis Star Tribune, August 5, 2012. Earl and I were best friends from Mrs Harwoods 6th grade class at Portland school till HS graduation. We went thru a lot together. Many trips to downtown MPLs,State Fairs,family outings to Taylors Falls,football & softball games w/Jim Mills,Earls bro Glenn,Barry Brock & his bros. Riding bikes to lakes Nokomis & Bush, the Mn river bottoms. He was a usher @ Gretchens & my wedding. We even got expelled from RHS together. Earl was a plane captain/door gunner in an air cav unit & did 2 tours in Nam. We argued 28 years ago and never spoke to each other since. I'll be @ his burial. Steve was a very positive, good-hearted guy who loved spending time with friends and family at his cabin on McGraw Lake in Wisconsin. All of us who knew and were close to him during our years at RHS have very fond memories of the wonderful times we had with him both in school and out. Steve was survived by his wife Marcia; his daughter Rebecca Davey; siblings Todd Rosen and Bonnie Stock; three step-children Michelle, Glen and Lisa Moodie and three step-grandchildren. Keyes, Michael E. age 67, of Mpls. Preceded in death by parents Raymond and Lorraine. Survived by brother James (Carmen), other relatives and friends. Don lived in Alexandria, VA at the time of his death. Don: Hope you are shooting a lot of hoops and making them all because you never missed many in the neighborhood pickup games. Keep a slot open for me, as I need a great deal of practice. Sad to see Don Braum's name on the list of classmates we've lost. I got to know Don and his delightful sense of humor during our senior year while sitting across from him in world history class. I had always thought Don was shy - but the class was so boring that, after a few weeks of exchanging daily eye rolls as Mr. Bielke picked up the textbook and started reading, we began to write notes. Most days we spent the whole hour crafting written arguments about Hostess Banana Flips versus Li'l Angels - the faults and merits of each. Don was a Li'l Angel fan and I preferred Banana Flips. We would each write a page extolling our favorite and criticizing the other, then we'd exchange notes, do a rebuttal and exchange again. I wish I had saved the notes. I looked forward to that stupid class every day because Don's notes were so funny. I've thought about him over the years and wondered what happened to him. I hope he had a wonderful life. Don passed away on October 3, 2011 at his home in Alexandria, VA. Sybille, his wife of 30 years, his daughter Anna and his son Dirk were by his side. Don had been diagnosed with pancreatic cancer in October of 2010 and had undergone surgery, chemotherapy and radiation treatments to try and beat the cancer into remission. He continued working until a few weeks before his death, determined not to allow the disease to keep him from doing what had been so important to him for so many years. After graduating with a degree in Political Science from the University of Minnesota, Don joined the Marine Corps and served as a Platoon Commander in Vietnam. He went on to do graduate studies in Philosophy at Vanderbilt University and in 1979 joined the Foreign Service. His first posting was to Frankfurt, Germany, where he met his wife Sybille. They spend the next 30 years in the Foreign Service together, enjoying postings to Sudan, The Netherlands, Cyprus, Greece and Belgium. Their travelling family grew to include their two children Anna and Dirk, two Labrador retrievers and a cat. In the later years of his diplomatic career Don was back in Washington working on issues such as genocide prevention and conflict resolution. He fervently believed in the importance of diplomacy to avoid conflict and to protect the innocent from persecution. Don was an incredible athlete and liked to push himself to the limit of his endurance. He loved biking and completed several 100-mile bike rides in Maryland and California during the past years He always looked forward to fin finding new ways of challenging himself. Thank you to Don's wife, Sybille, for providing us with this information about Don. I fondly remember how he invited me to spend time with him and his family one weekend in Belgium. Being a lonely new intern in a foreign country, this gesture meant a lot. So sorry to hear of his passing. Quinn, William G. "Bill" Loving husband, dad & grandpa. Retiree of Ford Motor Co. - 35 yrs. Age 67 of Eagan passed away April 21, 2011 surrounded by his family at home. Preceded in death by parents; & a brother. Survived by devoted wife of 44 yrs., Louella; sons, Sean, Matt & Brett; grandchildren, Aidan Quinn, Riley Quinn & Tori Maidl; and many other relatives & friends. Mass of Christian Burial 11AM Tuesday, April 26th at the CHURCH OF ST. JOHN NEUMANN, 4030 Pilot Knob Rd. @ Deerwood Dr., Eagan. Visitation 4-8 PM Monday at J.S. KLECATSKY & SONS, 1580 Century Pt. (Yankee Doodle @ Coachman), Eagan & also 1 hr. prior to Mass at church. Interment Fort Snelling National Cemetery. Burlison, TN - WILLIAM “Bill” HALLQUIST, 66, realtor with Real Estate Mart, died December 26, 2010 at his residence. I remember good times with Bill and his parents. Use to go to their lake home kand they all were very gracious hosts. Bill had a 1950 (?) chevy which ran great. We had some good fishing and duck hunting trips. Carlson, Dennis age 61. Loving wife, Barb; son, Chris & wife Jackie; 2 beautiful grandchildren, Matt and Julia; other siblings, brother Len & wife Pat; brother, Keith & wife Carolyn; sister, Cheri & husband Chuck; loved by many in-laws, nieces, nephews, cousins and friends. We will forever hold him in our hearts. Open House Nov. 5, 2006, 3-6 PM, American Legion Post 225, 355 West Broadway, Forest Lake, MN 55025. 651-464-2600. Memorials preferred. Carl: You were a terrifc football and hockey player, but even a better friend! When I learned that Dennis Brown was killed in Viet Nam I was saddened and surprised. I ran into Dennis in late 1966 inViet Nam when we were both hitching a plane ride out of Cam Rahm Bay to go to our respective units. I was returning from R&R in Bangkok and do not remember where Dennis was coming from. It is amazing to me how among all the people in Viet Nam I ran into a fellow HS classmate. At least we had a chance for a short visit as we flew in a open door C47/DC3 out over the South China Sea to avoid the shells of the USS New Jersey battle ship. Apparently the plane could not fly high enough to avoid the shells so we had fly out and around her on the seaward side. I'm so very sad to see Rick's name here. He and I and other miscreants were always in trouble in German class. I will miss my fellow trouble maker. Michael passed away on July 12, 2012, at the age of 67. He was a Mechanical Engineering graduate at the University of Minnesota, who lived most of his adult years in Plymouth, MN. He was single and had no children. In August of 2011 he was hospitalized with dementia and later transferred to an assisted living center, where he lived until his death. I am Michael's brother and live with my wife of 45 years and our children and grandchildren in Pierre, SD.